This week, Matt & I are back to have a number of shockingly out of date (but still fun and/or salty!) discussions about comics you’ve probably already forgotten! We talk about Grant Morrison’s Green Lantern, Cosmic Ghost Rider, Batman ’66 on Blu-ray, Shazam, the X-Men, and a whole bunch more! Can your heart stand the shock and wonder of this our 15th incredible episode of Comics Rule Everything Around Me! Follow Matt on Twitter why don’t you? Please enjoy this wonderful video about the Jeff Smith Shazam! series we discuss in this week’s episode! My good buddy Matt Drane and I are back talking about all kinds of things! 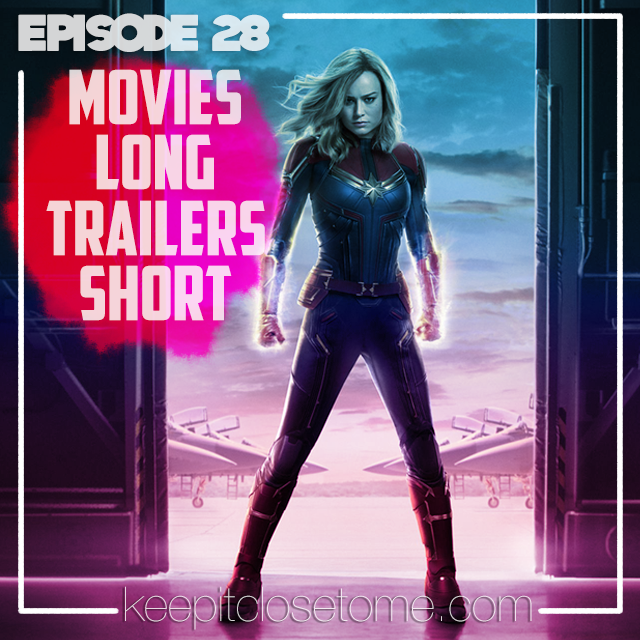 As you can see from the cover, there’s an in-depth look at the latest Captain Marvel trailer, a lot of comic movie talk, the imagined frustrations of writing big time comics, and how reading comics can be like riding the world’s worst roller-coaster! 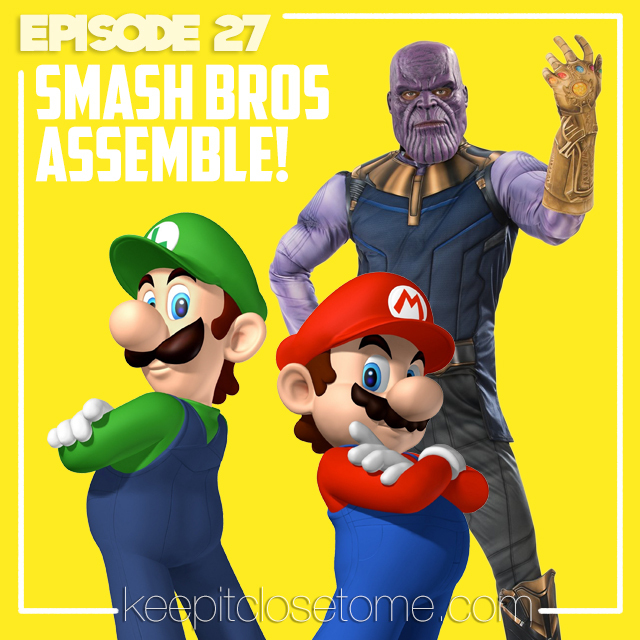 This week my buddy Matt Drane is back and we talk about Super Smash Bros, Ant-Man & The Wasp, Avengers 4 (aka Endgame) rumors, Batman: The Animated Series, the return of Young Justice, the DC Universe streaming entertainment platform, a Superman video game that will probably never get made, and a bunch of other stuff. You’d honestly be better off just listening to the episode at this point. Please watch this tribute to Captain America in the MCU and just try to say he’s not the absolute best of the best of the best. Episode 25 – Video Games! WARNING: I start this episode by saying it’s going to be another episode of Comics Rule Everything Around Me, but this turns out to not be the case, and it is instead a new episode of plain ol’ Keep It Close To Me where my buddy Matt and I talk about video games! We talk about a lot of video games, actually. A lot are comic/superhero related, but there’s a surprise or two in there as well. Let us know if we got things wrong, what video games you love, and anything else that springs to mind while listening to this episode! 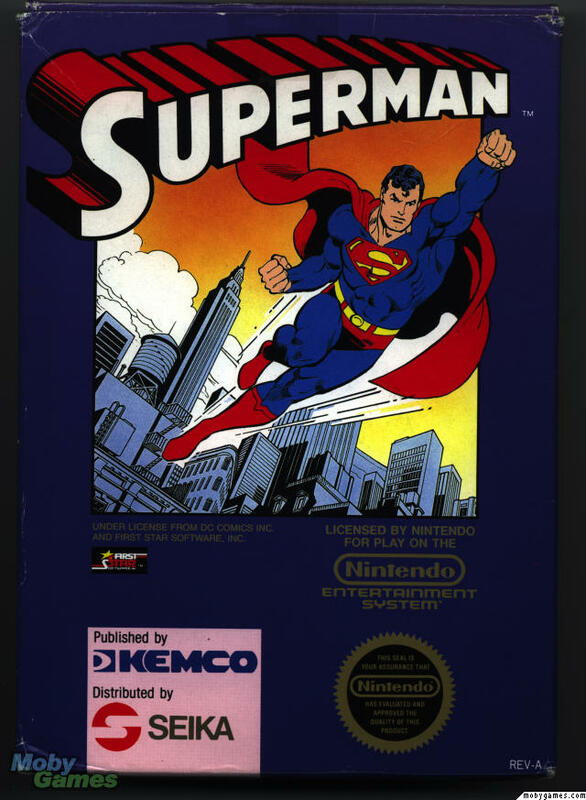 Here’s an excruciating playthrough of the first level of Superman 64 and a fun video about the history of how one of the worst games of all time happened. If you’ve never seen it, here’s the Super Mario Bros. 3 commercial I mention this episode. It really pulls off the double magic trick of making SMB3 seem both exciting and like a very big deal without showing a second of gameplay. 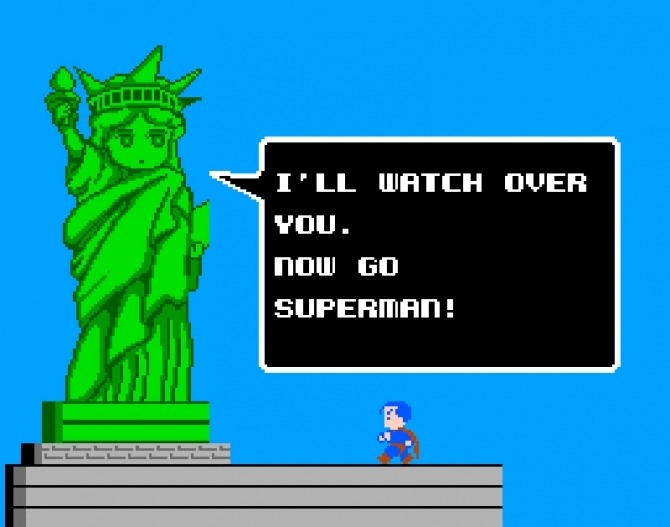 Superman for the Nintendo! What could go wrong? Supergirl Gab – Episode 28 – S3E16 – Of Two Minds! We’re back with an all-new, action-packed, twenty-eighth episode! Katie and I are back talking about The CW’s Supergirl, but we also talk about TV shows that are actually good, the superhero costume conundrum, kittens, an idea for a new Tumblr, and Animorphs! This week’s episode is a wild ride and we can’t wait for you to join us for it! Comics Rule Everything Around Me – Ep. 13 – Mans of Steel Finale… Finally! This week, Matt & I are back to discuss the second half of Brian Michael Bendis’ Man of Steel mini-series and teach you how not to make brownies! Also, I must warn you, I am extremely salty about the comics we discuss in this episode, but it’s ok, I still love Superman! All of this and more in our 13th incredible episode of Comics Rule Everything Around Me! Supergirl Gab – Episode 27 – S3E15 – In Search of Lost Time! We’re back with an all-new, action-packed, extra-long twenty-seventh episode! Our eyes are opened anew to the world of The CW’s Supergirl as if for the first time! We explore the guilt of enjoying things! We delve into the secrets of DNA costume changes! And we try to process the existential horror of getting paid to say the words “smart” and “cloth” together as though that were a thing! Join us as we take a stupefying leap into this fresh, new experience of so few commercials and such high definitions! Get a load of this Silver Age cape stretching in action! This week, Matt and I discuss cooking, rank the best (and worst) of the live-action Supermans, try to decide how many mysteries are too many mysteries, and answer a question from my mom! All of this and more, plus The Man of Steel #2&3 in this, our spectacular 12th episode of Comics Rule Everything Around Me! Matt and I are back talking comics & this week, it’s all about Superman! Multiple versions of this Steel-Man are discussed, some of your Twitter questions are answered, and we even read some fun 5 star iTunes reviews! Here’s a link to a longer version of that Christopher Reeve interview! Do you like hearing your questions answered? If you answered “yes”, then this is your lucky day! If you answered “no”, then… maybe you’ll enjoy hearing other people’s questions answered! Some of the topics discussed include Black Panther, Chris Jericho, Green Lantern, wrestling, Abraham Lincoln, Superman comics, wrestling, cartoons, Ikea, and somehow even more wrestling!